The Husqvarna ST224 is an impressive two-stage snow blower for a multitude of reasons that I’ll discuss in the article. Not only is this a high-quality snow blower packed with a long list of excellent features, but more surprisingly is that it’s very affordable — making this one of the best snow blowers you can buy. Winter is becoming increasing more unpredictable nowadays and you rarely know if it’s going to be a season of heavy snowfall or not. Already in 2018, the Northeast of the US has been hit with a a major snowstorm and it’s only Nov 16. Winter officially starts on Dec 21st. There are two important things you need if you live in an area where it’s likely that you’ll be hit by major snowstorms. The first thing you need is a snow blower. If you have property you need an effective way to clear that snow. The Husqvarna ST224 and the ST224P (has power steering) are designed for deep and wet snow over 8-inches. These are exceptional 2-stage snow blowers that will clear the most difficult snow, including the large dump of heavy snow at the end of your driveway. 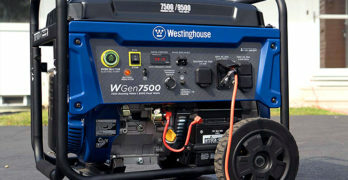 The second thing you need is a portable generator to keep your refrigerator powered so your food won’t spoil, as well as the ability to power all of your important devices. 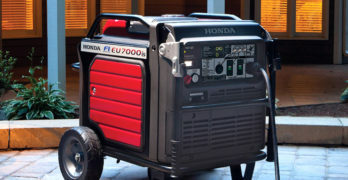 Trust me, when the power goes out for whatever reason, especially if it’s freezing cold outside, a portable generator will be a lifesaver and it will keep you warm because you plug in your portable heater to keep your living room warm. Now, let’s get to the Husqvarna ST224 review and then you an decide whether or not it’s the right model for you. Designed to handle deep snow under harshest conditions. The Husqvarna ST224 is a feat of engineering as it will power through anything you throw at it. Self-propelled and comes with practical heated handles to keep your hands toasty warm even when the air temperature is freezing. 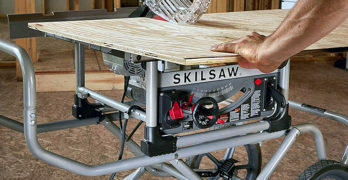 Husqvarna is synonymous with quality. 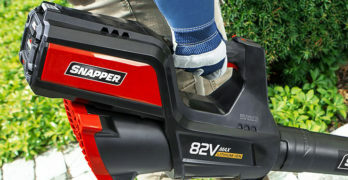 When it comes to power equipment the Husqvarna brand should be at the top of your list. If you’re ever uncertain which brand product to buy just buy Husqvarna and it will be money well spent. And no, I don’t work for Husqvarna but you can’t argue with a company that’s been around since 1689. That’s not an error. Husqvarna has been around for over 325 years. You can also read this PDF document showing the history of Husqvarna. I don’t think most people realize the rich history of Husqvarna and the fact that they make more than great chainsaws for consumers and professionals. Case in point : Husqvarna snow blowers are also highly regarded and well-made. If you don’t believe me, just read the customer reviews. Can throw snow up to 35 feet, allowing you to clear large areas of snow with ease. Looks even more impressive from the top. The Husqvarna ST224 is designed for clearing heavy snow. It’s the perfect snow blower if you live in an area where snow storms are common year after year. It has a 24″ clearing width and a 23″ intake height. This machine can process a lot of snow in a short amount of time with its 208cc Husqvarna engine. Advantages of a two-stage snow blower? A two stage snow blower is far better at moving snow quickly. A two-stage snow blower like the Husqvarna ST224 is ideal if you live in region where a typical snowfall is above 8-inches. Also, it’s self-propelled so it’s much easier to handle and maneuver if you have inclines or hills to traverse. A two-stage snow blower uses an auger to collect the snow, and uses an impeller to throw the snow far away from the machine. The Husqvarna ST224 can throw snow up to 35 feet, which is a good distance to collect the snow far away from where you’re clearing. If you live in an area where the snowfall accumulation is moderate (under 8″) then I recommend buying a single stage snow blower. They’re designed for light-duty snow clearing whereas the Husqvarna ST224 is engineered for heavy snowfall. ✓ Learn more by reading : Single Stage Snow Blower vs Two Stage Snow Blower This is a common question people want to know more about. Hint : A 2-stage snow blower is built to clear heavy wet snow, and regular fluffy snow in depths of over 8-inches. A single stage is for fluffy snow under 8-inches. Two-stage system: Snow is fed into the housing by an auger and then discharged through the chute by the high-speed impeller. Skid Shoes: Fully adjustable and used to adjust height of scraper bar from the ground. The skid shoes are reversible for a longer lifespan. Skid plates/shoes are located on each side of the auger housing and adjust the clearance between the scraper bar and the ground surface. Adjust skid plates evenly to proper height for current surface conditions. ✓TIP: For removal of snow in normal conditions, such as a paved driveway or sidewalk, place skid plates in the highest position (lowest scraper clearance) to give a 1/8″ clearance between the scraper bar and the ground. Use a middle position if the surface to be cleared is uneven. Handle height adjustment: Adjustable handle height allows you to find the ‘sweet spot’ when it comes to comfort. We’re all different heights so don’t overlook the importance of being able to adjust the height. Electric starter: Connect to a power outlet and start the engine by pressing a button. 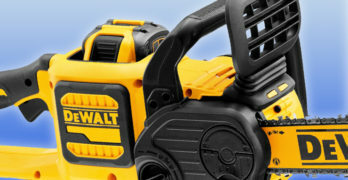 Our starter system ensures that you’ll never have to worry about a dead battery. The Husqvarna ST224 is equipped with both a 120 Volt A.C. electric starter and a recoil starter. The electric starter has a three-wire power cord and plug which is designed to operate on the standard 120 Volt A.C. household current. Insert safety ignition key (tied to recoil start cord) into ignition slot until it clicks. DO NOT turn the key. Keep the extra safety ignition key in a safe place. Place ON / OFF switch in “ON” position. Move choke control to “FULL” position. Push the primer three (3) times. 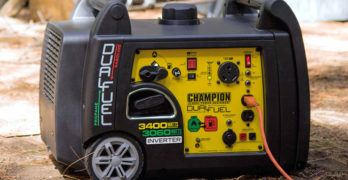 Connect the power cord to the engine. Plug the other end of the power cord into a three-hole grounded 120 Volt A.C. receptacle. Push starter button until engine starts. LED headlights: Husqvarna gave put a lot of thought into the design of these headlights. They give the Husqvarna ST224 a face, and some style. When the snow is falling at 3am in the morning and you pull out this snow blower, simply turn on the LED lights and you’ll be able to see where you’re going. Not all snow blowers have headlights, but the good ones do and in my opinion, should be on all snow blowers for your own safety. Heated handle grips: Your hands are the most vulnerable to getting cold when you’re outside blowing snow and since they are the only thing you are using to control the ST224 it becomes even more important to ensure that your hands are comfortable. It may seem like a small feature but in fact the heated hand grips are one of the best features on this Husqvarna snow blower. Having warm hands while your work makes it easier for you maneuver the snow blower, but more importantly, you’ll be much happier while you’re out in the cold. And when you’re done, you can go inside for a well-deserved cup of hot chocolate. X-trac, heavy-tread tires: Extra traction in deep and icy snow. It’s the same as having snow tires on your car. You wouldn’t use summer tires on snow, at least you shouldn’t. These tires are designed to stick to slippery conditions and prevents the snow blower from sliding around, which can also be dangerous. Chute cleaning tool: It goes wherever you go. If you snow sticks to your chute, this is the tool to use. 6 Forward / 1 Reverse Speed : Slower speeds are best used for heavier snowfalls and faster speeds are for light snow and/or transporting the snow thrower. If you’re new to using a two-stage snow blower I recommend starting with the slower speeds until you’re comfortable with operating the snow thrower. Self-propelling, forward and reverse movement of the snow thrower, is controlled by the traction drive control lever located on the left side handle. Squeeze traction drive control lever to handle to engage the drive system. Release traction drive control lever to stop the forward or reverse movement of the snow thrower. The auger rotation is controlled by the auger control lever located on the right side handle. Squeeze auger control lever to handle to engage the auger and throw snow. Full diagram of all the major components. I recommend downloading and reading the manual to get a better idea of how to setup and operate the ST224. Always read the manual before operating the Husqvarna ST224. Fuel tank volume (with reserve): 0.69 gal. If you want to explore other two-stage snow blowers models then read our in-depth article. Go slower in deep, freezing or heavy wet snow. Use the drive speed control, NOT the ON / OFF switch, to adjust speed. It is easier and more efficient to remove snow immediately after it falls. The best time to remove snow is the early morning. At this time the snow is usually dry and has not been exposed to the direct sun and warming temperatures. Slightly overlap each successive path to ensure all snow will be removed. Throw snow downwind whenever possible. Adjust the skid plates to proper height for current snow conditions. See “TO ADJUST SKID PLATES” in this section of the manual. For extremely heavy snow, reduce the width of snow removal by overlapping previous path and moving slowly. Keep engine clean and clear of snow during use. This will help air flow and extend engine life. After snow-throwing is completed, allow engine to run for a few minutes to melt snow and ice off the engine. Clean the entire snow thrower thoroughly after each use and wipe dry so it is ready for next use. More power and wider clearing width over the ST224. The Husqvarna ST230P is a step up from the ST224 and the Husqvarna ST224P (power steering) in terms of power. It has a 291cc engine so expect this to clear snow at a much faster rate and overall be more efficient in deep snow. It has a clearing width of 30 inches and a snow removal height of 12 inches. Includes clearing stick to clear snow stuck on the chute. Two-stage snow blower with a 24-inch clearing width. A highly rated and reliable 2-stage snow blower. 9.5 ft/lb, 208cc Sno-Tek engine with 120V electric start delivers the power you need to handle a variety of snow conditions. Interlocking control levers allow for one-handed operation, freeing the other hand to reposition the chute without stopping. Robust all-steel dash panel and controls withstand the elements. Durable polymer chute with 2.5x Quick Turn and 205-degree rotation. Remote chute deflector to easily control the height of the snow plume. 24-inch wide, 20-inch tall housing features a rolled top lip and offset leading edges for unmatched strength and durability. Top-load aluminum gear case with alloy steel gears and synthetic gear oil ensure long life. Large, freeze-resistant 12-inch, 3-blade high-speed impeller throws snow fast and far for quick, efficient snow removal. Serrated steel augers relentlessly work through packed snow and ice pulling it into a powerful impeller. Aggressive 13″ x 4″ Polar Trac tires provide traction to overcome slippery conditions. Pin-lock axle that provides maneuverability when unlocked, or maximum traction when locked. This Ariens Sno-Tek is one of the highest rated snow blowers on the market. It starts right away, handles easily in deep snow and can plow through 2 feet of snow with ease. Overall this is an excellent 2-stage snow blower in this price range. It’s engineered for homeowners who live in areas where heavy snowfalls are expected year after year. Track-drive will propel you through any type of snow conditions. Track drive system: Our track drive system ensures efficient accessibility of hard packed snow and slopes. Low ground pressure and grip safe cleats provide solid traction and sturdiness. View or download the MANUAL for the Husqvarna ST330T. Husqvarna ST 330T has been developed for landowners who need a high-capacity, robust and durable snow thrower with superior traction that comfortably clears large areas. It has been designed for frequent use in all snow conditions, 15-60 cm. The efficient track drive system ensures accessibility on hard packed snow as well as on slopes. For easy operation, it features a two-stage system, hydrostatic transmission and power steering. Throughout, it has heavy-duty components for maximum durability in all conditions, such as its robust auger housing, cast iron auger gear box and cast iron impeller. Features heated handle grips, LED headlight and electric starter for work in all weather conditions. The track-drive will take you anywhere you need to go. An inexpensive way to make snow clearing safer. Great on ice. The Yaktrax Pro will help make snow clearing less risky. Designed to instantly give you improved traction and safety of packed snow and ice. They fit over most footwear. Inexpensive and effective. As you know, pushing around a heavy snow blower on icy surfaces has risks. Safety should always be your primary concern. Having the YakTrax under your feet will make it easier to use your snow blower by giving you a more stable surface while you work in challenging conditions. A definite must if you care about your personal safety. 360° of traction with patented skid lock coil system. Durable natural rubber outerband for flexible fit. Abrasion resistant 1.4mm steel coils. Removable strap ensures secure fit. Heel tab allows for easy installation and removal.